After nearly 9 years of being out on the road as the Architectural Marketing Manager for Frank Miller Lumber, Criswell Davis has offered AIA continuing education programs to over 5,000 architects and designers. 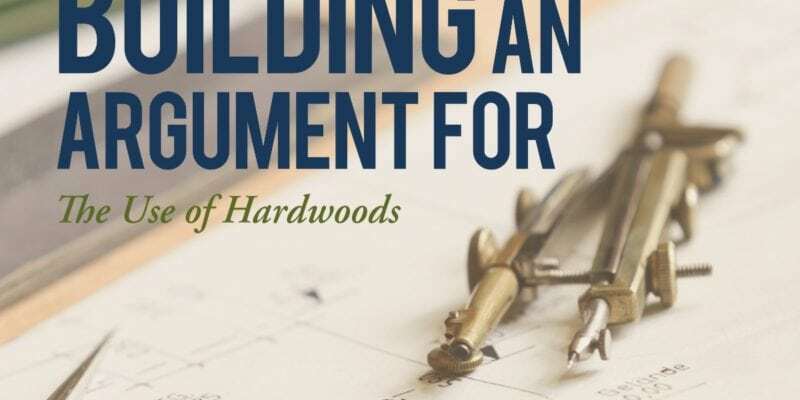 The programs tell the story of sustainable American hardwoods and their role in design. The goal always was to gain a seat at the table in the design process, encouraging the realistic use of American hardwoods to improve the spaces into which they could be specified. Criswell has been successful in getting American hardwoods specified and installed in projects around the world and has become a valuable resource for some of the biggest design and engineering firms in the world. He has lectured to architecture schools, design festivals, all-day AIA Continuing Education seminars and in-house lunch and learn events. He has always told his audiences that he sees his mission as twofold.